← i am temp out of order due to injury. I wonder what this property is worth today, almost 30 years later? 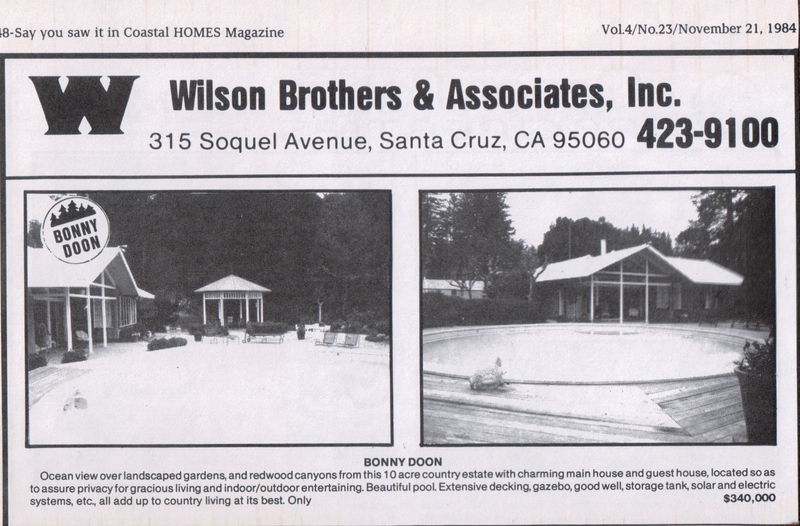 1984 Bonny Doon Real Estate Ad. Courtesy of Santa Cruz Public Library. This entry was posted in Bonny Doon, Santa Cruz Mountains and tagged 1984, Ad, bonny doon, real estate. Bookmark the permalink. Hi Agatha, I’d be happy to try and answer your question. Please email me your question and I’ll do my best: vnwees@yahoo.com.